Forty-six emerging designers from around the globe will showcase the latest in fashion innovation and creativity as they compete for top prizes in this year’s prestigious iD International Emerging Designer Shows to be held at the Dunedin Town Hall on Thursday May 3 and Friday May 4. The finalists, selected from a record 200 entries, will travel to Dunedin from their home countries to be judged by an international panel of experts at the new look iD International Emerging Show, supported by the Otago Polytechnic. “As Australasia’s only international emerging fashion competition, designers from the top fashion schools around the world are eager to come to Dunedin to network and to launch their collections on a global platform,” says Dr Margo Barton, Professor of Fashion and iD Dunedin Fashion Creative Director. The Emerging Shows will take centre stage as the main show at this year’s reinvigorated iD Dunedin Fashion event, held from May 2-6 and funded by the Dunedin City Council. The main shows will be held over two nights at the Dunedin Town Hall which will be fitted out to create an extensive multi-level runway to allow for additional front row seats and closer audience seating overall. This year’s Emerging selection committee, made up of Kiwi fashion designers Tanya Carlson, Benny Castles (WORLD), and Margi Robertson (NOM*d), noted the exceptional standard of entries from around the world, which made selecting a pool of finalists extremely difficult. · Auckland University of Technology: April Gourdie, Ariane Ilagan, Wilbur Hsu. · Whitecliffe College of Arts and Design, Auckland: Sally Oh, Catherine Balle, Wade O’Brien. · Massey University, Wellington: Gemma Cornish. 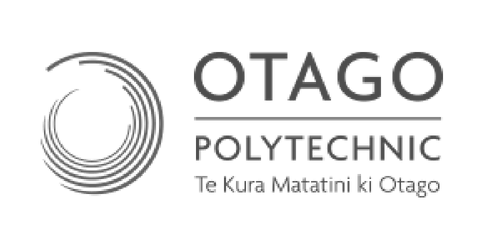 · Otago Polytechnic, Dunedin: Dylan McCutcheon-Peat. · Royal Melbourne Institute of Technology: Xiangqiao Sheng, Madeleine Jost, Lucy Dickinson. · University of Technology, Sydney: Allie Howard, Alissar Hammoud, Antoinette El-Alam, Yael Frischling, Tess Tavener Hanks, Lisa Liu, Misaki Oba, Jessica Guzman, Sarah Lim. · UBA (Universidad de Buenos Aires): Camila Fuchs and Micaela Clubourg. · BGMEA University of Fashion and Technology: Rokaiya Ahmed Purna. · Ryerson University: Stephanie Moscall-Varey. · Shanghai University of Engineering Science/Sino-French Institute of Fashion Design: ZhiSheng Cao. · Shenkar College of Engineering and Design: Matan Glik. · Domus Academy: Adireg Comenoi. · HKPU: Leung Hiu Ching, Shun Yin Wong. · National Institute of Fashion Technology (Mumbai): Shreya Jain. · BUNKA Fashion Graduate University: Kenta Nishimura. · Universidad de Monterrey: Ingrid Aldama. · Cracow School of Arts and Fashion Design: Artur Stec. · LASALLE College of the Arts: Joanna Lim. · Nanyang Academy of Fine Arts: Vina Liliani. · LCI Barcelona: Diana Abalo. · Manchester Fashion Institute, Manchester Metropolitan University: Katie Clarke, Jade Shields. · Birmingham City University: Shafia Begum. · University of Westminster: Jasper McGilvray. · Fashion Institute of Technology: Margarita and Cristina Ng (twins). · Parsons School of Design: Helena Bajaj Larsen. · Savannah College of Art and Design: Naeun Kim. Prizes include NZ$6000 for the H&J First Place winner, Rodd and Gunn Second Place ($4000), Gallery de Novo Third Place ($2000) and a range of other special prizes. Tickets on sale from Monday February 26 through Ticketmaster.co.nz.